If 2016 has shown us anything, it’s that journalists can’t afford to live in bubbles. We can be a self-reinforcing bunch, so we are surprised when “mainstream America” is unfamiliar with certain news events — or even something in the recent past that should still be part of the national consciousness. Just this month, we’ve seen some readers claim that Japanese Americans weren’t actually interned under harsh conditions during World War II. That’s why, as an industry, we must do better at informing ourselves and providing proper context for our readers. This means that news managers need to broaden their pool for hiring and promotion. We need journalists who can connect with readers in the heartland, not just because they are empathetic reporters but because they understand what it’s like to live and work there. Diverse perspectives go far beyond race and ethnicity: It also means actively cultivating a newsroom whose journalists represent a broad cross section of America. We need more journalists who understand our military, more people who know about religions beyond Christianity, more people who know what it’s like to live in poverty. And we certainly need to continue to increase the number of journalists of color, particularly in top management. Stories involving Black Lives Matter, Standing Rock, and immigration will have even more resonance as we transition to a new presidential administration. And stories from other parts of the world will need to be framed in a way that Americans will grasp their far-reaching relevance. When a seven-year-old girl in Aleppo becomes this era’s Anne Frank by using Twitter to share her daily struggles to survive, we see how social media, news, and ordinary people intersect. More than anything, we’ll be faced with the reality that readers have evolved beyond one-size-fits-all news. To ensure that news reports have impact, we’ll need to connect with readers because we reflect the readers. And that starts with concerted efforts to hire, retain, and promote diverse viewpoints. 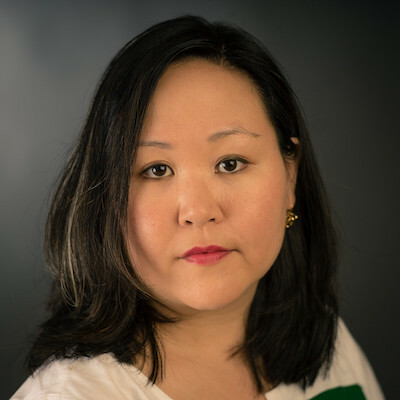 Doris Truong is the weekend homepage editor at The Washington Post. Dec. 15, 2016, 2:14 p.m.